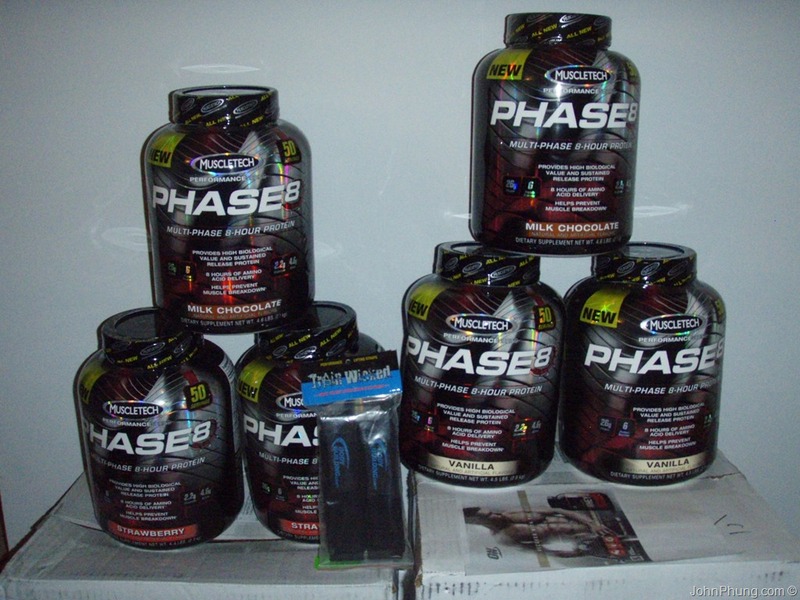 Originally I bought MuscleTech Phase8 whey protein thinking that it was a protein powder, similar to that of Optimum Nutrition’s Gold Standard 100% whey protein or Dymatize Elite. 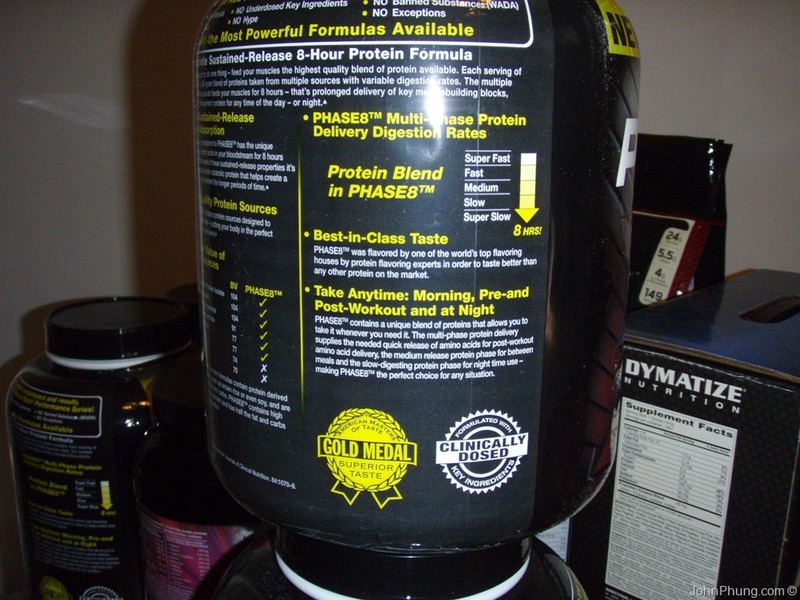 According to the “supplement facts”, it only contains a little over 60% protein per serving. It also contains 7 grams of carbohydrates. 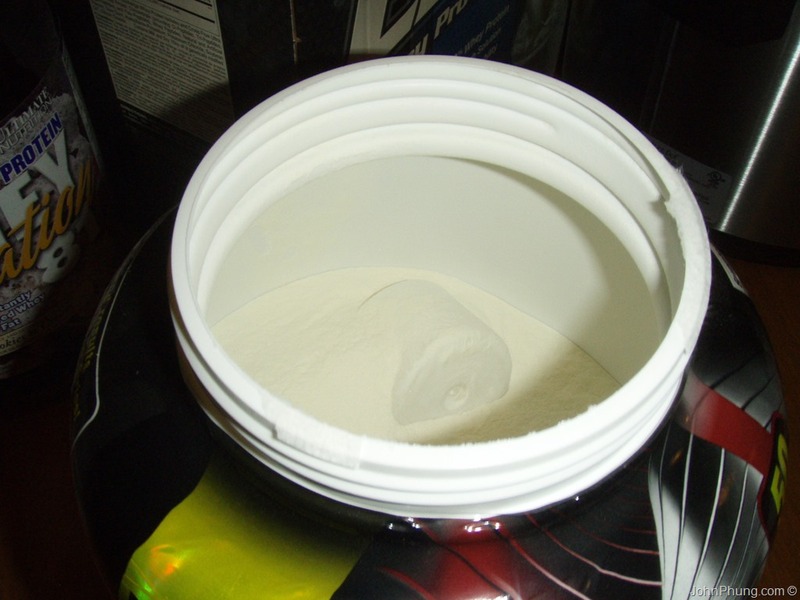 Something that I wasn’t expecting because I ASSuMEd it was just a “regular” protein powder. You know, the stuff that has a ~30 g serving size and a 24+ g of protein per serving with 1-3 g of carbs. It was listed under the category “protein powder”, and all of the protein powder I had bought previously was the regular stuff I just described. They say that it contains “only half the carbs and fat of the leading competitor”. I’m not sure who or what product they are referring to. It seems like it doesn’t fit into any category that I’m aware of. 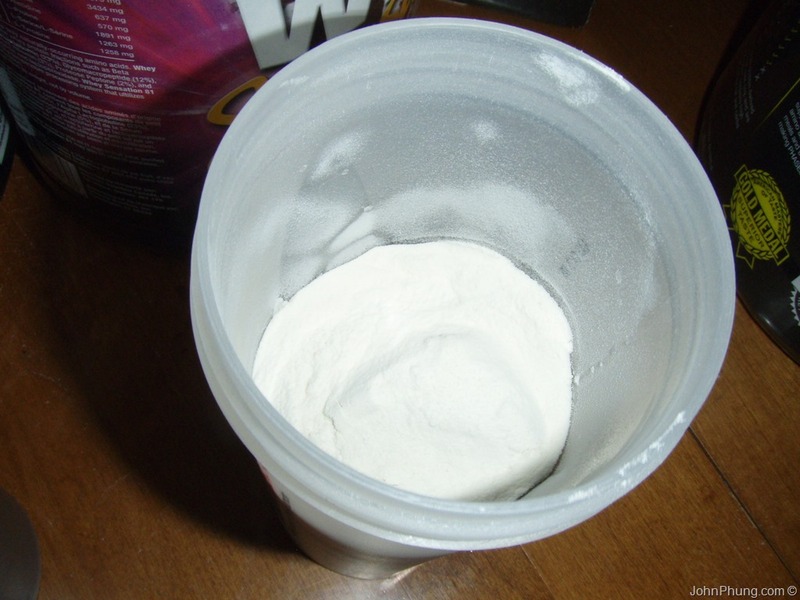 It contains too little carbohydrates to be classified as a meal replacement, post-workout powder or mass gainer. 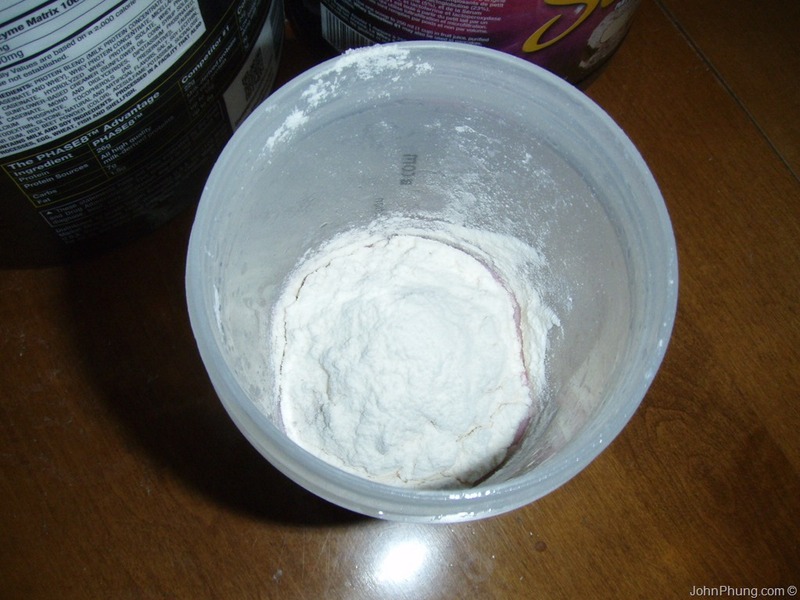 But it contains too much carbs to be a pure protein powder. Maybe there’s some new made-up category that popped up recently that I’m not aware of. My plan was to take this later after I finish my existing tubs of protein, but since this stuff has more carbs than I expected (probably due to the maltodextrin, the 2nd ingredient listed after it’s protein blend), I’m going to drink MuscleTech Phase8 during my workout. Anyway, I ended up purchasing 2 jugs of each flavor (strawberry, chocolate and vanilla) for a total of 6 jugs because of some buy 1 get 1 free deal. 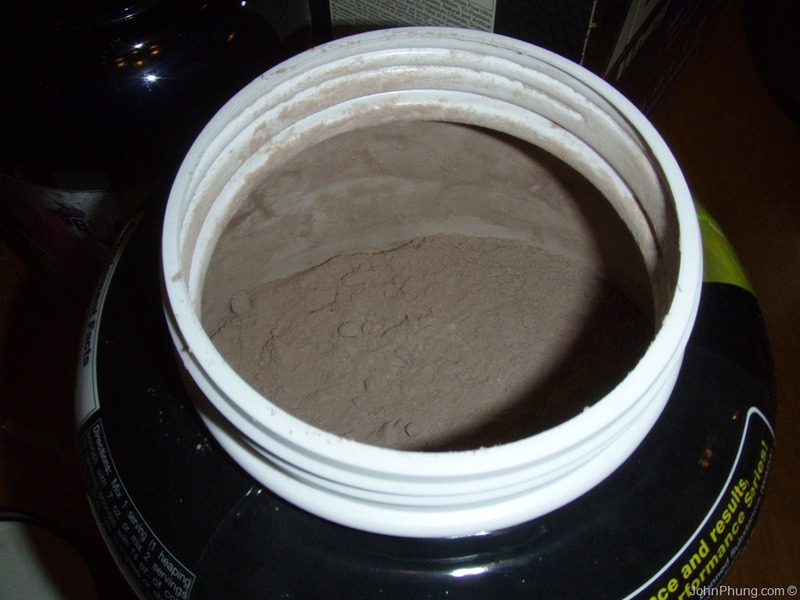 So now I have 27 lb of this MuscleTech Phase8 powder. What I thought was a little weird was that the weight of the protein was not the same for every flavor. The strawberry is only 4.4 lb, vanilla is 4.5 lb, and milk chocolate is 4.6 lb. I don’t know if this is the case with every manufacturer, but I thought it was odd. I wish they would show the quantities or some percentage of each type of protein instead of simply listing it out in a bracket under “protein blend”. Processed in a facility that also processes wheat, egg, fish and shellfish. 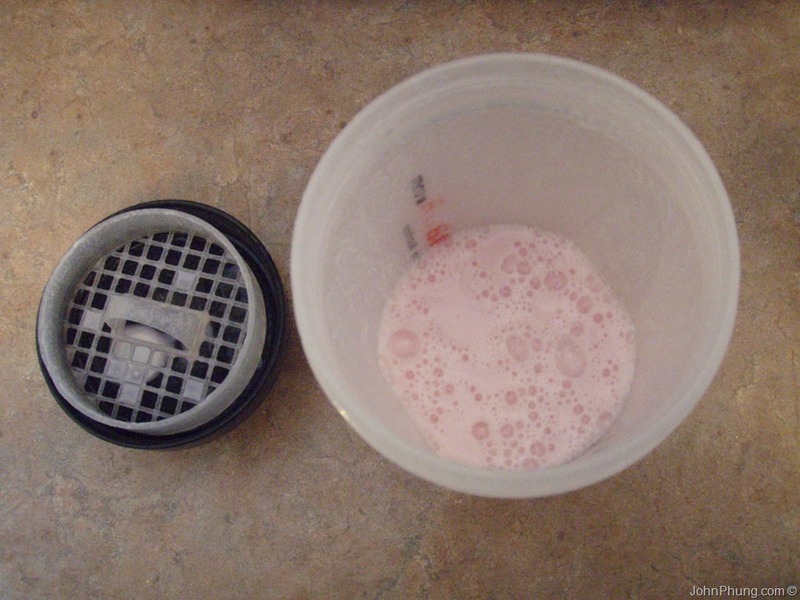 I checked to see if my other protein powders had this, and it did not. I would be interested to see this facility that processes wheat, egg, fish and shellfish…along with MuscleTech Phase8 powder. Maybe there’s a MuscleTech wheat, egg, fish and shellfish product out there? The claim in their marketing is “8-Hour Sustained-Release Protein Absorption”. I’m not sure how I can test this out for myself to see if it is true, but I would bet eating a steak and not chewing it thoroughly would provide me with a longer “Sustained-Release Protein Absorption” than an easily digestible protein powder that contains some “Digestive Enzyme Matrix” to help digest it. The scoop is much larger than I’m accustomed to seeing, but it makes sense because the serving size is much larger than average. The serving size is a whopping 41 g, and it only contains 26 g of protein per serving. 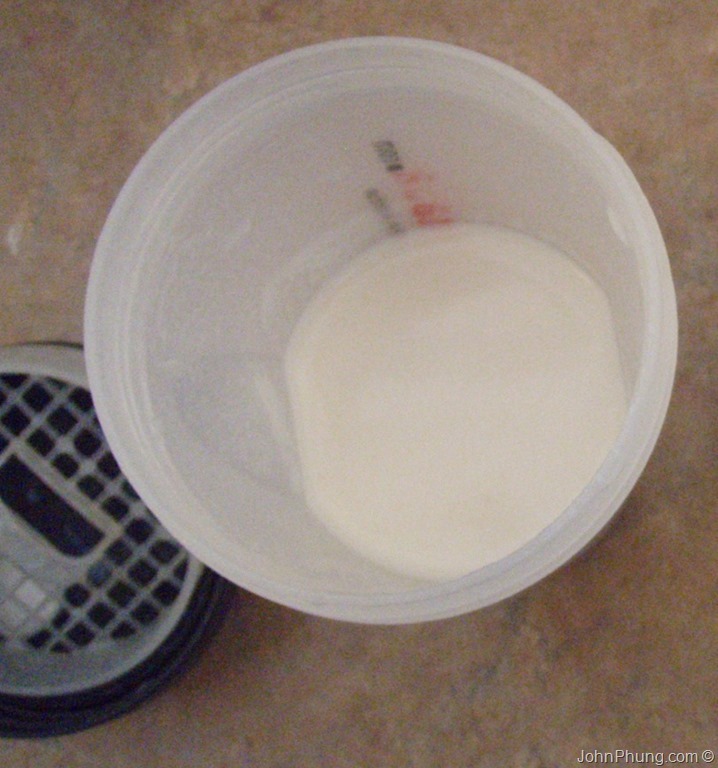 See the comparisons below (the MuscleTech scoop is on the right side). It’s a very fine powder, something similar to that of baby powder. 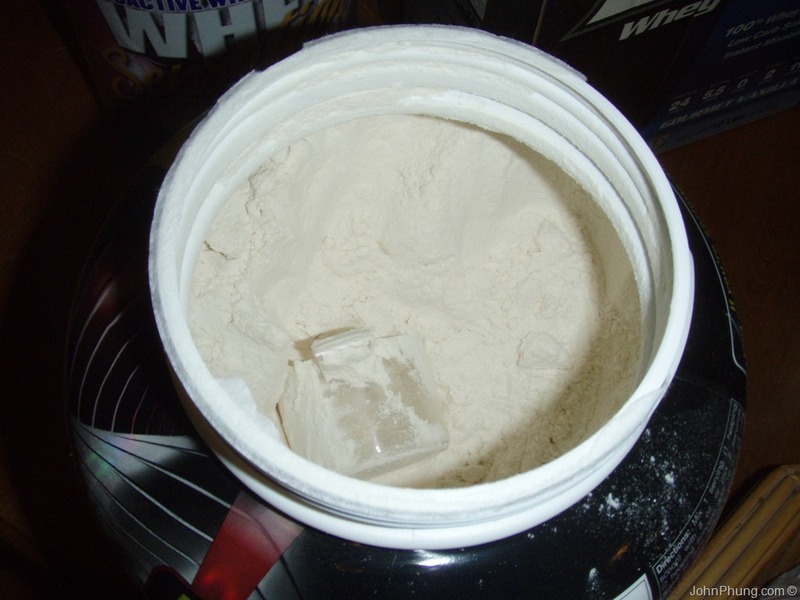 Because of this, MuscleTech Phase8 mixes well, but is a bit messier than other protein powders that I’ve used. It goes everywhere; sticks to my hand and fingers, sticks to the scoop, on the table, on the container and even in the air. I didn’t bother mixing it in with my coffee, because I did not want to make a big mess and didn’t want the additional carbs first thing in the morning. All the flavors are very sweet, and have a slight chemically taste. Vanilla tasted best, chocolate had an artificial taste to it, and strawberry tasted like strawberry flavored medicine. 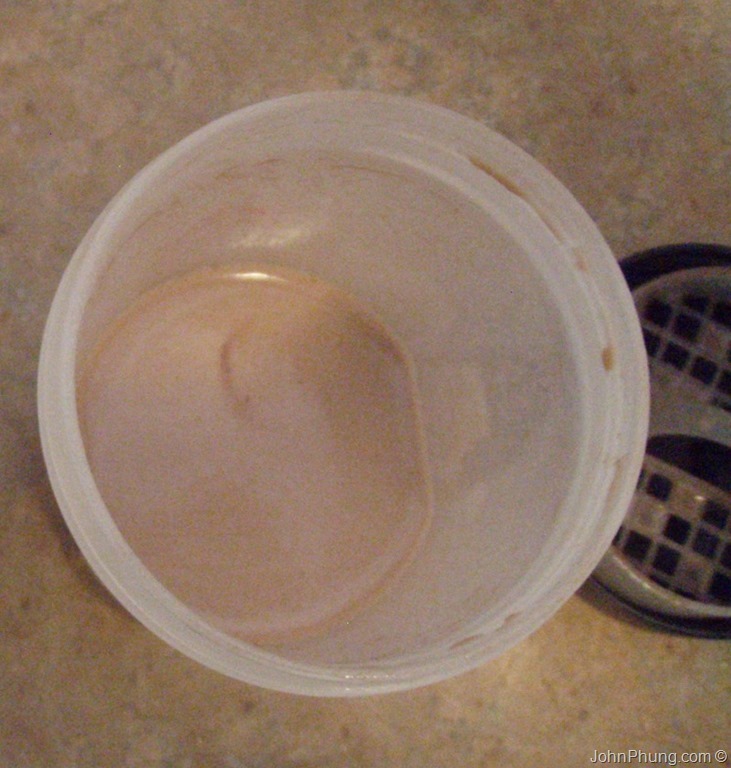 The scoop was on top when I opened this tub. 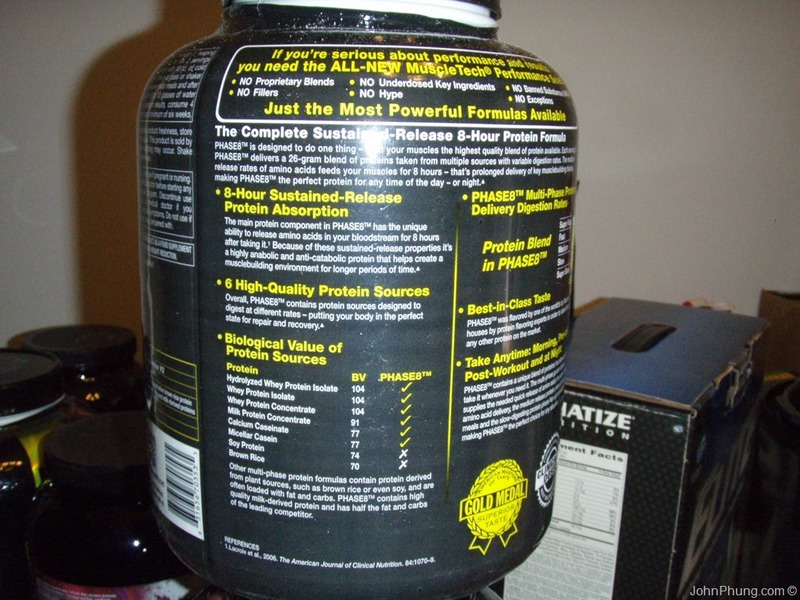 Because of the buy-1-get-1-free deal for the 4.4 - 4.6 lb tubs (which is no longer available), I suppose 27 lb of MuscleTech Phase8 for $157.11 was alright, even though it only contains about ~62% protein (that’s 16.7 lb of protein) by weight. That’s still $9.41 per pound of protein if my math is correct. Would I buy at full price? Nah. I think the next time I buy protein, I’m just going to go with something cheaper with less carbs, like a 25 lb cube of whey protein from CanadaProtein. I think if they eliminated the maltodextrin (which seems to me like a cheap filler ingredient…not sure why it’s in there) this would be a better product. 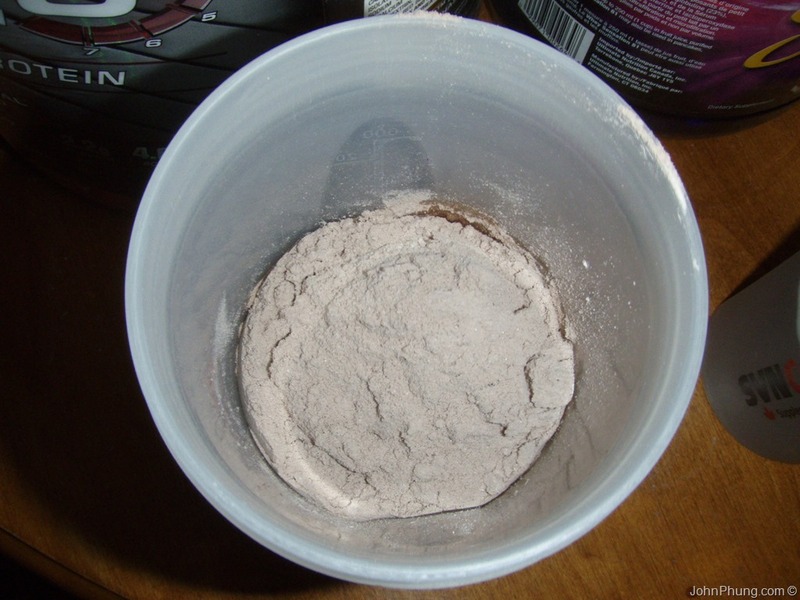 But there may be some people out there who want the extra 7 g of carbohydrates coming partially from maltodextrin per serving. Personally, if I wanted extra carbs, I would just eat a piece of fruit, add an extra scoop of rice to my post-workout meal or something like that. It does have pretty high ratings from other people though (currently a rating of 9.5/10 from 195 reviews). 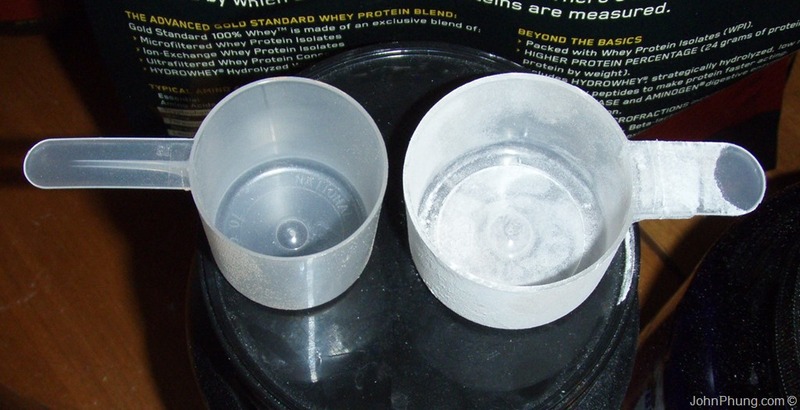 Although from reading some of the reviews, it looks like MuscleTech themselves sent out free tubs to bb.com members to evaluate. Personally, I give it a 3 out of 5.